One of my biggest healthy eating challenges are busy days where I need to eat well on the go. Those days when I don't have enough time to sit and enjoy the lunch special at my favorite sushi place or didn't bring any snacks are often the days where I end up eating junk or nothing at all. Lately I've been loving the fresh juice shops that have opened throughout Boston! I recently had the pleasure of visiting Revolution Juice and chatting with owner Heather Costa about juicing and clean eating. Her passion for creating healthy food with whole ingredients that tastes good really sets Revolution Juice apart from other juice shops. To start, they offer an assortment of whole foods beyond juices and smoothies including acai bowls, soups, and rice as well as custom cleanses and baby food. I sampled two of their delicious soups with Carrot Ginger Curry being my favorite. I also had a fresh squeezed juice (can't go wrong with anything that has apple & beet!) 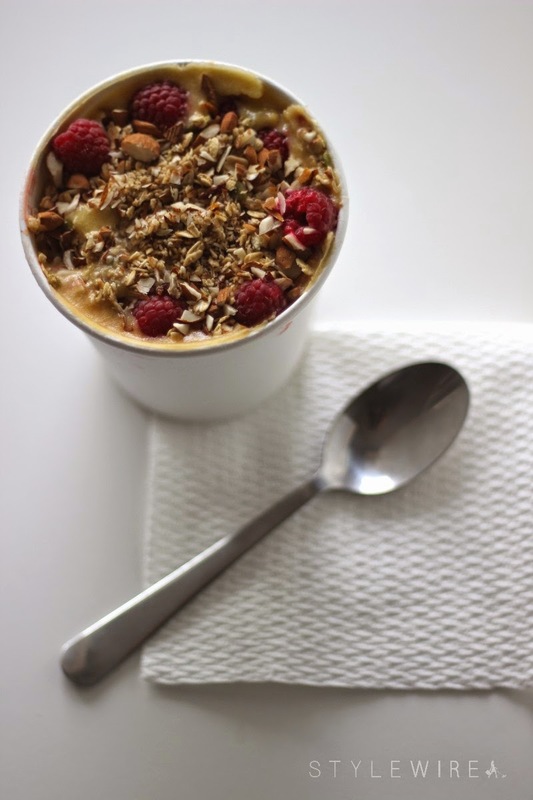 and took home a tropical bowl (pictured above) topped with granola, crushed almonds, and raspberries for a post-workout snack. It's convenient location at 150 Huntington Ave. means it's not far from places I frequent such as the Prudential Center. I will definitely be stopping by for another tropical bowl! 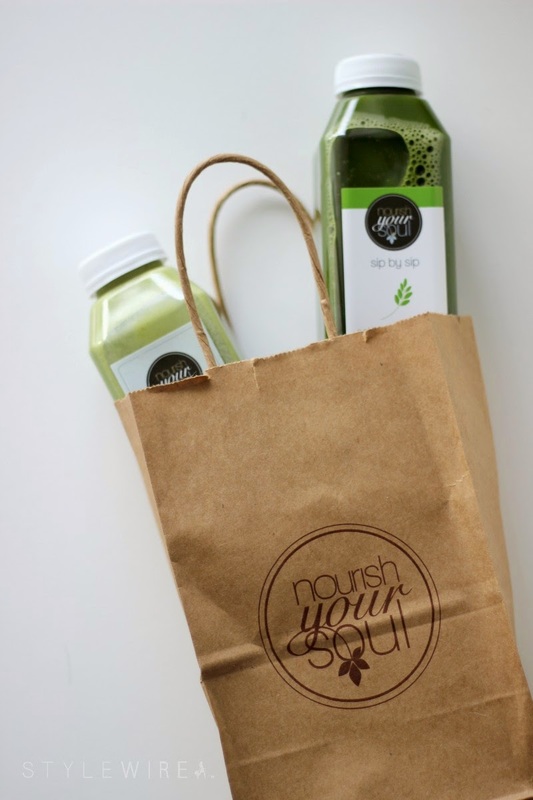 Down in the Seaport District, Nourish Your Soul offers smoothies, cold pressed juices, and "milks". I sampled their newest green concoctions; Green Milk and Green Ginger. I loved the Green Ginger! It was crisp and refreshing while the Green Milk was sweet but earthy. The small shop has bottled juices ready to go in their fridge or you can order one of their fresh smoothies. You can even place an order online and have it shipped to your home! That's just a couple of the new juice bars that have opened in the Boston area recently and I love them both! Have you discovered any new favorites lately?